I was going to lead with let there be light, but oh well. Exciting news, we have our power on! Gone are the work lights draped from the ceiling. 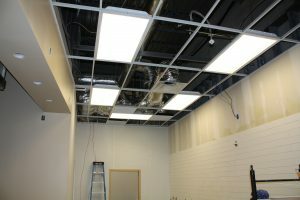 Our florescent lights in our ceiling grid are working and the place is sooooo much brighter. Even on a gloomy morning like today the place is wonderfully lit. The subway tile is going up behind the counter. 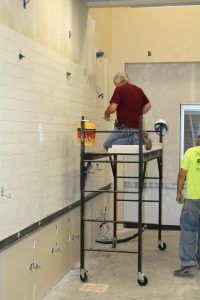 Once that is done the tile on the seating bar area will go in. This is crunch time as we transition from heavy construction to finish work. We can’t wait to serve our first customer. 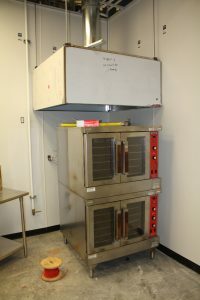 Our double convection oven was delivered. It will be completely refurbished once we get the gas turned on which should be happening today or tomorrow. 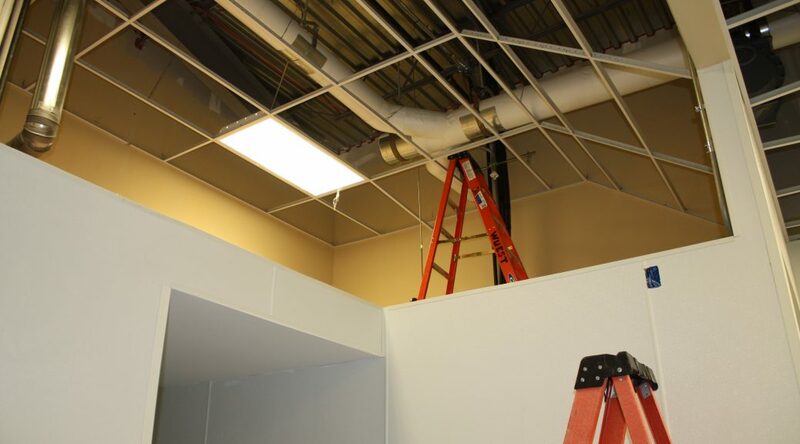 The electricians will have the vent hood wired today. So, next week we bake! 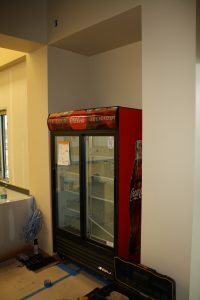 Finally, Coke dropped off our bottled beverage cooler which slipped nicely into the recess we created for it up front. Originally this space was just going to be walled over as dead space. With a little work from Huber General Contracting we now have a place for our cooler which doesn’t take up any customer space. AWESOME!